Ruth Durkee served as executive director of Northern New England Trades Women from 1994-1998. 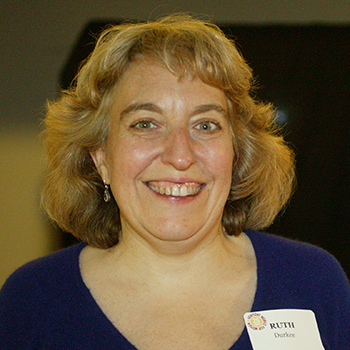 While in school, Ruth focused her studies on advocacy and civil rights law. She had always considered herself a feminist and wanted to make change. Ruth’s work since has been animated by a belief that opportunities should be made available to all people regardless of gender, race, religion, or other protected categories. Ruth currently serves as Assistant Director of Adult Education at Randolph Area Career and Technical Center and volunteers as a member of Vermont Works for Women’s advisory board for its Women Can Do conference, which inspires high school girls to explore non-traditional career paths.